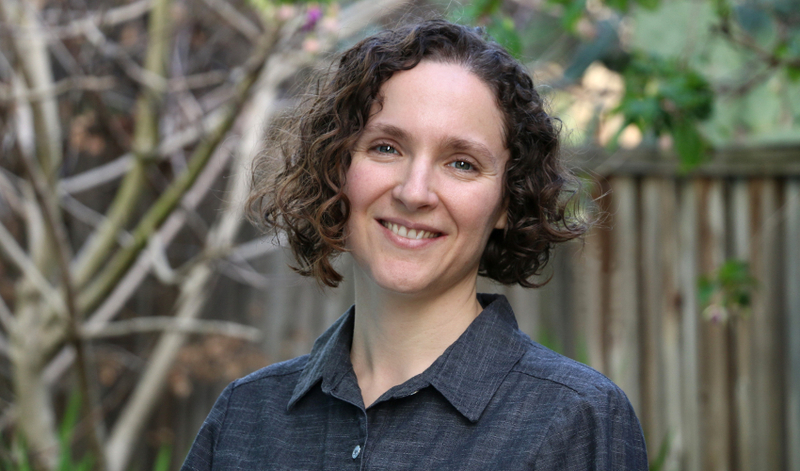 In movies, scientific discoveries prompt hugs for colleagues, thrown notes and maybe even a “Eureka!” But for San Francisco State University Assistant Professor of Biology Rori Rohlfs, one recent discovery instead provoked mixed feelings. “It’s thrilling — ‘These people exist!’ — and it’s very frustrating that I didn’t know about them earlier,” she said. “These people” are programmers who for decades played an important role in Rohlfs’ field of theoretical population biology, but who received scant scientific credit for their work. Her team’s study showed that from the 1970s to the ’90s, these researchers tended to be women. “Women basically started programming,” explained Ezequiel Lopez, a study co-author and post-baccalaureate researcher in Rohlfs’ lab. Only as programming became perceived as a man’s game did programmers begin to receive more recognition for their scientific work. Nowhere is the historical disparity in credit more evident than in the case of Margaret Wu, who contributed to a highly influential paper in the field. One result of that study is the “Watterson estimator,” a statistic named after that paper’s sole author that’s still in use over 40 years later. “Margaret Wu did substantial work on that paper and is thanked in the acknowledgements,” Rohlfs said. Yet Watterson’s name is enshrined in the history of the field, while Wu’s contribution went unnoticed until the current study was published. “Nobody [in genetics] knew who Margaret Wu was. No, it’s the Watterson estimator,” Rohlfs said. After serving as the statistical expert for Monash University in Melbourne, Australia, Wu left academia to raise a family and later returned as a professor researching educational statistics, Rohlfs learned during an interview. Thanks to the study, Wu’s work in genetics is now being recognized — including in a newly created Wikipedia page about her achievements. So far, however, efforts to track down other acknowledged programmers from the study have resulted in dead ends, as without authorship there’s often no way to find records of researchers’ careers. Much of the work of poring through the studies was done by a team of seven San Francisco State undergraduate students. “We had to go through each article, read through the acknowledgements and figure out what kind of programming there was for each and every one of them,” explained Rochelle-Jan Reyes, a post-baccalaureate researcher in Rohlfs’ lab. That’s hard-copy, paper articles, by the way — no searchable online archives for this journal. “It was very tedious,” said Lopez. But the students, none of whom had any previous research experience, also gained programming skills and saw what it takes to get a scientific project from conception to publication. “We’d spent hours and hours going through these articles, so it was exciting to see the finished product,” Lopez said. The topic of the study, too, served as a driving force. “Especially being at SF State, where social justice is so important. ... I thought it was a really cool correlation,” said Reyes. And after those painstaking months of work, each of the students received something that will be a bright star on their résumés: authorship on a scientific paper. Of course, given the topic of the study, it would be a little hypocritical if they didn’t. Other co-authors of the study are Brown University Assistant Professor of Ecology and Evolutionary Biology Emilia Huerta-Sánchez and SF State alumni Samantha Kristin Dung, Andrea López, Ricky Thu, Edgar Castellanos and Francisca Catalan.